Esquire Electronics Limited is well known company in Bangladesh. Recently they has been published a recruitment circular. Currently they are in search of talented motivated and result oriented individuals for the following position Sales Officer for Showroom. 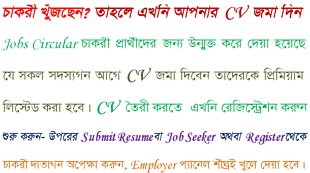 Al-Muslim Group has invited a job circular are many posts. It is well known garments company in Bangladesh. Some people will be appointed under the Al-Muslim Group. The leading pharmaceutical company of Bangladesh is Apex Pharma Ltd. Apex Pharma limited has offered a job opportunity as an Sr. Manager/ AGM-Marketing. Anwar Group of Industries (AGI), One of the Leading group of companies in Bangladesh. It is a well known company in Bangladesh. Recently they has been published a recruitment circular. Jobs at Delta Life Insurance Company Ltd.